Cats that live in a house, city, barn or forest all have one thing in common… they can harness their wildcat side. This feral cat lives in a residential neighborhood, sandwiched between two busy streets. But, he has found a little slice of the jungle within the concrete city. 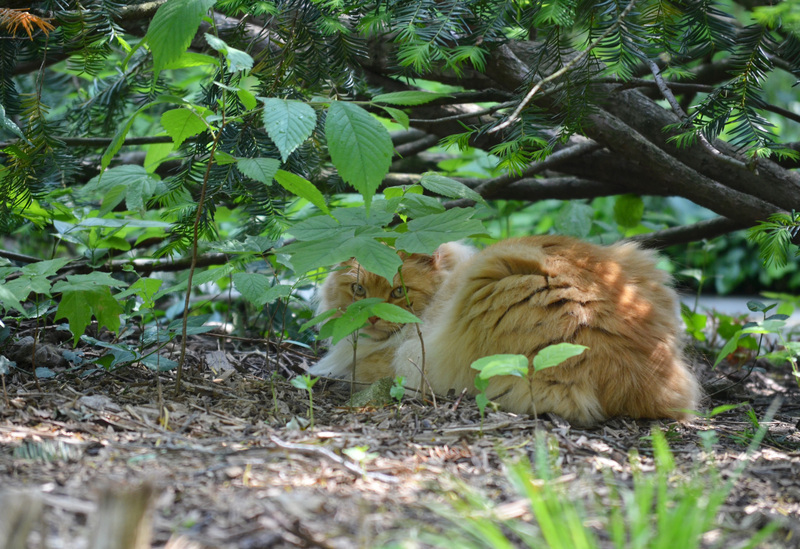 Cats often have a way of finding solitary hiding spots that are only visible to those looking to find them.